For both of these groups, here is a handy summary of the pros and cons of Bitcoin — brought up to date with the significant news and events of the past few days. We’re offering this in the hope that it will provide you the essential information you need, without going too deeply into the weeds. Some readers have told us that our coverage of Bitcoin over the summer gave an overall negative impression of digital currencies. As in all our analysis, we strive not to be negative or positive, but to be realistic, to give you the essentials and equip you to make your own judgment. Here we hope to make clear that whatever your assessment, digital currencies are not a phenomenon you should ignore. The risk of loss is real, and so is the opportunity for significant gains. For those who haven’t seen our articles over the past few months, here’s a quick summary. • Bitcoin is a digital asset which relies on cryptography and cloud computing and can be directly exchanged without involving any financial intermediaries. • Transactions are the assignment of Bitcoins from one “Bitcoin address” to another. A Bitcoin address is a string of letters and numbers, not a name or physical-world address. • The ability to spend Bitcoins associated with an address depends on the possession of a set of cryptographic “keys” — long strings of alphanumeric characters. • Bitcoin’s backbone is the “blockchain,” an electronic ledger of all Bitcoin transactions that have ever occurred. • The blockchain does not exist in a single repository; it is held simultaneously in thousands of “nodes” around the world. • Anyone who runs the Bitcoin software can start a node; the software is open source and available to all. • Nodes compete to validate batches of Bitcoin transactions (“blocks”) by solving fiendishly difficult mathematical problems. • The validated block is added to the blockchain, it is broadcast to all nodes, and the race to validate the next block begins. • The difficulty of block validation is programmed to increase gradually, and the reward of new Bitcoins to decline. • Ultimately, the total “supply” of Bitcoins will peak at 21,000,000, and no more Bitcoins will ever be created. • With currently existing computer technology, the Bitcoin network is impossible to game, and the blockchain is impossible to falsify, not just pragmatically, but in principle. In a nutshell, Bitcoin is in demand because some consider it to be like gold, but with some extra, highly desirable characteristics. • Also like gold, and unlike “fiat” currencies, Bitcoin’s value is not set or controlled by any government. • For careful and competent users, Bitcoins are in principle impervious to theft or loss. • Bitcoin transactions do not require financial intermediaries, or any of the fees and costs associated with them. • Transactions are not instantaneous, but they are much faster than traditional methods of sending funds from one person to another, such as wire transfers. • The total value of global financial assets is somewhere in the vicinity of $320 trillion. If 0.5% of that total found its way into Bitcoin, the Bitcoin bulls’ $100,000 price target would be reached and surpassed. Since Bitcoin represents an entirely new kind of financial asset, there is no sure way to know if this is a likely prospect — but it is certainly possible. Of course, there are some potentially large risks. • The technologies underlying Bitcoin could have a lot of great cost-saving applications in many parts of the financial economy. Bitcoin has made strides towards acceptance by mainstream financial institutions and by some governments. However, speaking practically, the bulk of current Bitcoin activity is still associated with speculation, the evasion of financial authorities, and trade in illicit goods. These are things that government regulators don’t like very much. • If most global financial regulators made Bitcoin illegal, it would become difficult and risky to move assets into and out of Bitcoin, because it couldn’t be done through any formal financial channels (e.g., banks). That could cause a crash — perhaps a permanent one. • Bitcoin was the first “digital currency.” It has been followed by hundreds of others. Some, such as Ether, Litecoin, Ripple, and Dash, have found acceptance and increased dramatically in value. Maybe new coins will turn out to be superior in ways that eclipse Bitcoin demand. Will there will be room for many digital currencies to coexist and continue to appreciate? Will Bitcoin maintain its first mover advantage? • The arrival of new computing technologies in coming years, such as quantum computing, will be disruptive to the cryptographic technologies that Bitcoin relies on. The system will adapt, but the process could be messy, and no one knows when it will start. 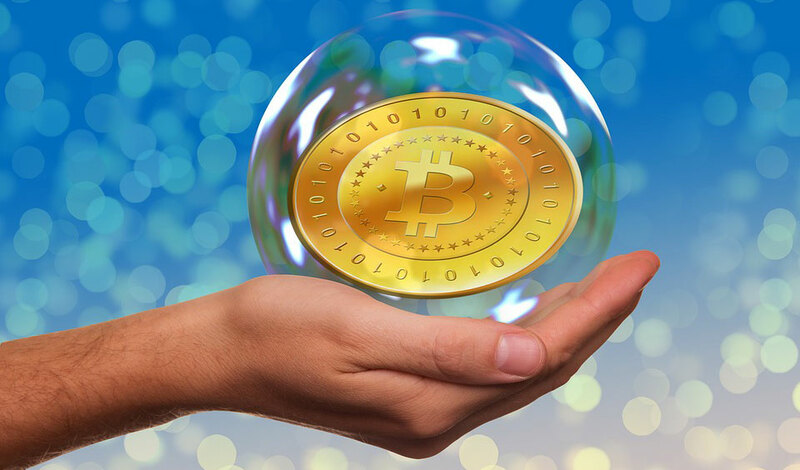 OK, I Read All That — So Is Bitcoin a Bubble? Obviously, the answer to that question depends on whether you think the fears are justified — and that’s a landscape that’s shifting every day. There have been some significant recent developments; we’ll describe them below and explain why we think the current crop of worries is overdone. Close watchers of the digital currency space saw some dramatic action over the holiday weekend, with Chinese regulators imposing a total ban on so-called “ICOs” — initial coin offerings. ICOs are related to the other, non-Bitcoin digital currencies mentioned above. Hundreds have launched in 2017, raising over a billion dollars. Along with the careful projects that have real thought, innovation, and technical expertise behind them, there have been many projects that are little more than cheap attempts to cash in on a craze — projects with no real justification or prospect for success. In this sense, the ICO landscape resembles the IPOs of the dot-com blowoff — where putting the word “internet” on a back-of-the-envelope business plan was a guarantee of venture capital funding. Typically, when an ICO is floated, it is funded by people exchanging Bitcoin or Ether for the new coins. Since it’s all based on digital currencies, it has been, until recently, outside established securities laws, which have stringent compliance requirements that the issuer of a security has to meet. And there have already been plenty of instances where ICOs have proved to be basically fraudulent. So of course, global financial authorities have been watching closely. In July, the Securities and Exchange Commission ruled that one particular infamous ICO back in 2016 — which nearly destroyed both Ether and the Ethereum platform — did, in fact, fall under the purview of securities regulations, because the coin being offered fit the legal category of a “security.” The SEC did not bring charges against those who made that ICO, or make broader statements about ICOs in general. The ruling had a brief chilling effect on the whole digital currency market. But it soon became clear that the SEC’s ruling was really quite narrow — a shot across the bow of an overheating ICO market, but not the beginning of a crackdown on digital currencies in general. Last weekend, the People’s Bank of China published a much more robust document prohibiting all ICOs. ICOs in China have been especially characterized by fraud, and the ICO market has been marked by a typical Chinese enthusiasm for speculation. Bitcoin and Ether dropped sharply; as of this writing, they have both recovered much of their losses. Though the PBOC seemed to distinguish between the “tokens” offered in ICOs and the “cryptocurrencies” such as Bitcoin and Ether, the law’s intent was not completely clear. Digital currency exchanges have not been shut down. Unnamed sources, though, have told several financial journalists that the ban of ICOs is just the first step in a larger crackdown on digital currencies. ICO regulation as such is not that much of a concern. From the perspective of an investor in Bitcoin, a clamp on new coins is essentially a positive, because money seeking to flow into digital currencies will have fewer options, and the position of the established coins will be strengthened. Although desire to participate in ICOs has meant that a lot of people needed to buy Bitcoin and Ether to participate, the total funds raised for ICOs in 2017 represent only a small part — less than 1% — of the current market capitalization of the most important digital currencies. ICOs have not been the primary drivers of digital currency appreciation, and we do not see that a crackdown on ICOs is a negative — on the contrary, it strengthens the case for the major cryptocurrencies. Broader Chinese regulation, however, is worth pondering. Of the transactions conducted on Bitcoin exchanges, about 80% occur in China. This means that China accounts for a substantial portion of global Bitcoin liquidity. Chinese Bitcoin “miners” — that is, nodes of the Bitcoin network within China — account for about 70% of the computer power currently deployed on the Bitcoin network. Suffice it to say that China is extremely significant in the global Bitcoin network and market. This means that a full-on Bitcoin ban in China, at this point, would be very disruptive. However, clearly, for now, the Chinese government (or sufficiently powerful elements within the Chinese government) still view Bitcoin as a positive for China (or for themselves). For now, they would still prefer China to maintain its outsize role in trade volume and Bitcoin mining, even though Bitcoin is doubtlessly being used by corrupt officials within China to hide their ill-gotten gains and get them out of the country. Perhaps they understand that unilaterally blocking Bitcoin exchanges — which they have attempted to do to varying degrees in the past — will not stop Chinese participation, as long as Chinese Bitcoin users can employ virtual private networks and other workarounds to access the network overseas. Websites such as localbitcoins.com link Bitcoin buyers and sellers who wish to transact with cash — and again, even if China’s “Great Firewall” blocked this site and others like it, Chinese traders would find easy ways around it. Given these realities, the Chinese government seems to be reaching an uneasy peace with Bitcoin — perhaps believing that Bitcoin’s significance in global finance and geopolitics is great enough that it is worth tolerating some corruption to keep China important in the Bitcoin ecosystem. The other major development in recent days that caused consternation to some Bitcoin investors was the announcement that several major banks had joined the consortium, led by Swiss bank UBS, which is building its own “digital currency” — the so-called “Universal Settlement Coin,” or USC. Could this take the wind out of Bitcoin’s sails, if the world’s major banks get together to beat Bitcoin at its own game? In brief, that’s not what’s happening. The USC is not a digital currency — it is an application of blockchain technology to ease transactions among participating banks. It is not intended as a digital currency for the masses — it is just a way for big banks to save back office costs by using a digital ledger. The entries on the USC ledger don’t even refer to a separate “coin” — rather they indicate the disposition of fiat currency deposits in participating institutions. One comment on the USC project was particularly interesting — the analyst suggested that in setting up this network, the big banks were creating the infrastructure for central banks to issue national digital currencies. An intriguing suggestion — but even if true, it ends up being an argument for rather than against other digital currencies. Since Bitcoin, like gold, is a vote against the competence of governments and central banks, the arrival of fiat digital currencies would probably only strengthen Bitcoin further, since it would signify an intensification of the state’s war on cash, gold, and other untraceable — and unconfiscable — financial instruments. Clearinghouses and other intermediaries, perhaps, should be worried — but not Bitcoin investors. Investment implications: Bitcoin, and other major digital currencies, represent a development that investors should not ignore. While there is a non-trivial chance that an investment in Bitcoin, Ether, or another digital currency may go to zero, there is also a non-trivial chance that it will appreciate dramatically. The market in “Initial Coin Offerings” is filled with fraud and exaggeration, and should probably be avoided by most investors, particularly since financial regulators around the world have this market in their crosshairs. However, to establish a position in major digital currencies is far from irrational, even at current levels, provided the investor is comfortable with the risk of a total loss of capital. (For this reason, we still do not characterize this as investment, but as speculation.) A three-to-one reward/risk requirement is more than met by major digital currencies, in our view. We recommend that those interested in digital currency exposure concentrate on the major established digital currencies, and conduct their business only through reputable and regulated exchanges within the United States. (Technically competent users should hold their Bitcoin in electronic wallets, with their keys backed up in several locations.) We also recommend that individuals with substantial gains in digital currency portfolios consider liquidating a portion of their digital assets and diversifying into a portfolio that includes some more conventional assets, including stocks, gold, and real estate.